‘Mahindra Thar’ the off-roader SUV from domestic car maker Mahindra & Mahindra is already recognized for its powerful performance and smooth drivability. And now the vehicle has one more reason to feel proud on it after it’s attachment with superstar Rajnitkanth. 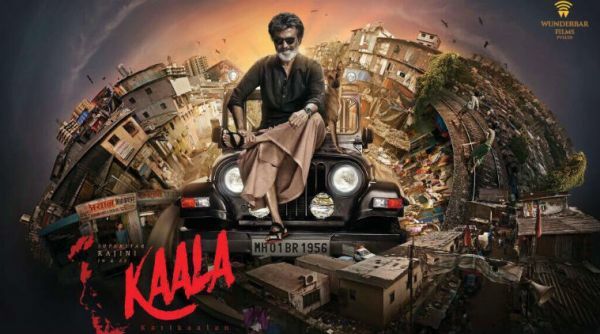 Recently the poster of his upcoming movie Kaala was unveiled in which the superstar is sitting on Thar as his throne and as soon as this poster came into the notice of Mr. Anand Mahindra, Executive Chairman Mahindra and Mahindra expressed his wish to acquire the same unit on which Rajnikanth is sitting. 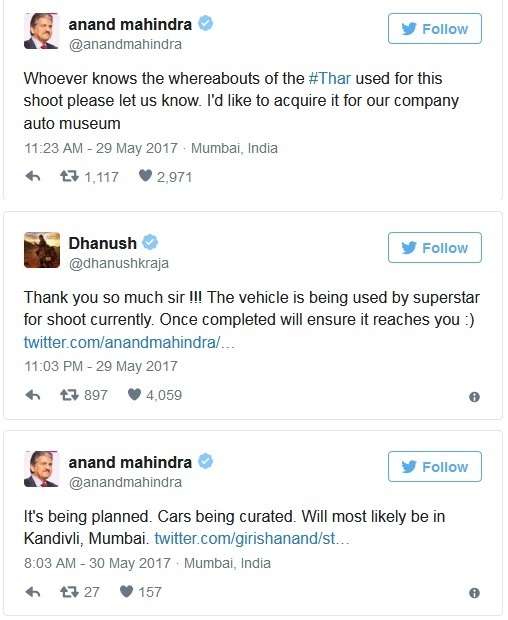 After viewing the poster Mr. Anand Mahindra tweeted and interestingly going through his tweet, Dhanush the son-in-law of Rajnikanth also tweeted and now it seems that the deal between the producer and Anand Mahindra is almost finalized. The first look poster from the upcoming movie was released last week by Dhanush himself and soon it became a huge hit on social media, creating the excitement among the audiences towards this movie. It looks that the poster not only made Anand Mahindra excited towards the movie but also made him feel proud with Thalaivar sitting on the Thar as his throne. The curiosity of Anand Mahidnra can be understood from the fact that after going through his tweet one of users at the Twitter wrote that the vehicle used in poster might be developed by using photoshop software in reply to Mr. Anand replied “The car that was photoshopped is still a collector’s item!”. This reply is enough to reveal that Anand is such a big of Rajnikanth.